Researching Translation Memory applications for business translations? Smart thinking! Many successful companies that produce multilingual documentation are using these apps. With several enterprise options available on the market, it’s not always easy to tell which one is the best choice for your business. Sometimes the companies that develop Translation Memory applications don’t explain the full breadth of their features on their website, and how they will benefit you in particular. This can lead to confusion and indecisiveness. In this post, we’ll break down how Translation Memory works, the benefits of Translation Memory applications, and then we’ll provide you with a list of additional resources that will help you make the decision. When it comes to understanding Translation Memory applications, it’s important to first explain that these platforms primarily use machine translation. If you’re confused by “machine translation,” you can just think of it as computer-generated translation. If you’ve ever used Google Translate to translate text, that’s machine translation. And if you’ve ever tried to communicate with someone just using Google Translate, it’s probably been pointed out to you that the translations aren’t always spot-on (and sometimes even comical!). That’s because it’s machine translation. It won’t ever be as good as human translation. Whether this matters to you depends on your goal. If you’re simply trying to translate a PDF of recipes written in Italian so that you can improve your personal cooking skills, machine translation will likely be adequate for you. But if you’re a business trying to accurately communicate with a multinational customer base and employees (whether it’s via marketing, HR training or owner manuals), machine translation alone isn’t good enough. This is where the “Translation Memory” component of Translation Memory applications comes in…. So for instance, if you were an appliance manufacturer translating a user manual in different languages for all the foreign markets you serve, you could see how these abstract concepts and technical terms could be mistranslated (or unrecognized) by a machine translation engine. 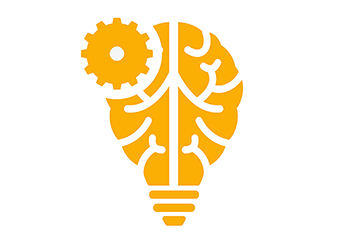 Using AI, machine translation will do it’s best to translate the technical terminology, but with such high importance placed on correct technical specifications, this would be dangerous to your company, technicians and consumers. Enter the power of machine learning (computers learning from human input). Some, but not all, Translation Memory applications have this capability. Translation Memory apps make it possible to continuously improve translation quality to human-quality translation quality levels, as long as you’re willing to put the effort in to train the app over time with the use of a bilingual hire. 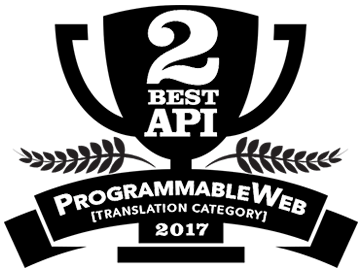 Some Translation Memory applications harness the breadth and speed of a machine translation engine to create a “first draft” translation of your file or copy-and-paste text, but the difference with some Translation Memory applications is that you can train the machine translation engine within it so those translations improve to a human-quality translation standard. In the case of traditional applications such as Studio and MemoQ, they do not automatically provide you with a machine translation “first draft.” It’s an option. What Happens on the Back End? A Translation Memory application separates file text into segments. These segments are then compared against translated segments that already reside in the Translation Memory. It will search for exact segment matches, also known as 100% matches (Context Matches), and imperfect matches (Fuzzy Matches). Simultaneously, it retrieves the previous translations from the Translation Memory and places them in the translated file for the user. The more files you translate and the more segments you edit, the larger the Translation Memory grows and the more valuable it becomes. Over time, you will translate less and less of the same words and phrases that your company often uses. The application will just automatically populate them for you when you run your files and text through its Translation Memory engine. One of the main benefits of Translation Memory applications is that they make it possible for professional translators and your bilingual colleagues to deliver polished translation projects in a fraction of the time it normally takes them. Depending on the solution you’re using, it might include several features aside from Translation Memory that will speed up your translation projects. A Translation Memory app will not only provide you with faster translation turnarounds, it will also save you money on your projects. Since the engine is constantly learning from your edits, your projects won’t require as much human translation input as time goes on. This means your internal resources can produce more translations in less time or you don’t need to pay a translator as much the more time goes on, because they’re not spending as long on the translations and perhaps specialization won’t be as big of a requirement as time passes. 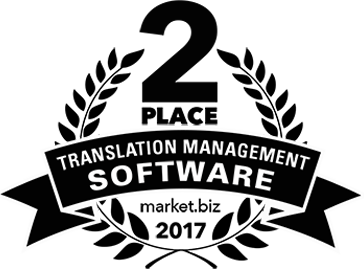 With an application that has Translation Memory, your translation accuracy will improve over time. Instead of solely using machine translation to translate, you’re taking care to produce more accurate wording and phrasing in the target languages you work with. And this means that the Translation Memory application will become that much smarter. Translation Memory applications have various pricing structures. Some require you pay per seat and word usage, others will require you pay for monthly access with different pricing depending on the size of your team and features included. Prices can range from free to $2,500 per seat. Considering a free Translation Memory application? Check out this blog post about the risk of free online translation tools. Want to know the best features you should always look for in a professional translation application? Keep this list on hand during the shopping process. Does your business require API access from your Translation Memory application? Check out this API. Do you have existing Translation Memory files that you want to add to the new Translation Memory application you adopt? Learn everything you need to know about .TMX (Translation Memory Exchange) files. Want to improve your writing so that there are less translation edits you need to make? Learn how to improve your writing with the cheat sheet in this article. One step you can take now to help you with your decision is to request a demo of a web-based Translation Memory app. This will allow you to ask questions while learning the features of the app and exactly how it will benefit your team’s needs. Take the guessing out of the equation, and request a free demo of Pairaphrase today.